Joaquín “El Chapo” Guzmán-Loera, the notorious Mexican drug kingpin convicted in New York last month, now faces a lifetime in prison. But for nearly three decades he played a cat-and-mouse game with law enforcement in the U.S. and Mexico. 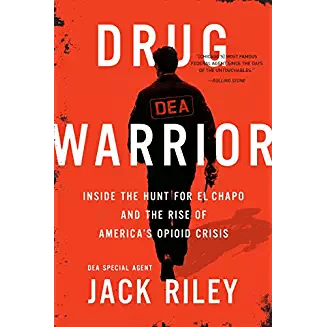 Hunting down the man who was said to have controlled a criminal empire surpassing that of both Pablo Escobar and Al Capone combined, was a fulltime job for Jack Riley, a now-retired Drug Enforcement Administration (DEA) special agent and his colleagues, and he has turned his story into a new book, Drug Warrior: Inside the Hunt for El Chapo and the Rise of the Opioid Crisis. In a conversation with The Crime Report, Riley discussed why law enforcement agencies’ obsession with “metrics” prevented them from seeing the real danger posed by El Chapo’s organization, how the shadowy relationship between drug cartels and U.S. street gangs stoked the violence connected with opioid trafficking, and why Congress can no longer avoid addressing the role of financial interests, particularly big pharmaceutical companies, who profit from America’s addiction to drugs. The Crime Report: What prompted you to write this book? Jack Riley: I never intended to write a book when I retired, but with all the attention that Guzmán was getting, with some of the press in Mexico trying to make him look like a hero, almost a Robin Hood type figure, I felt that someone needed to put on paper exactly who this guy was, what a mastermind and mass murderer he was and, more importantly, how responsible he was for the opioid issue in this country. It took almost two years to do, and it’s a difficult story to tell because there were so many heroic people that I was lucky enough to work with and serve with. I just wanted to make sure the story did them justice and really told the audience how much work we had to do, both domestically and overseas, to finally get this guy locked up. TCR: In the book you point out that from the very beginning nobody was paying attention to opioids and that you were pushing for more attention throughout your career. Today it’s seen a national crisis. What changed? Riley: Many people kept their heads in the sand. [Opioid addiction exists] in virtually in every corner of this country. Every social economic class is affected by it. It took a lot of convincing for people to really believe that we had a problem. The big pharmaceutical companies have a lot to do with what we’re dealing with now, as does, to a certain extent, the medical profession. Education is really crucial, and when we talk about education, I mean getting to the at-risk people. It’s great to send uniformed policemen into a third-grade elementary school, but we really need to refocus on the at-risk groups: the young adults, high school and college age, and young professionals—people who find themselves in the grip of addiction, whether they started it legitimately through a physician’s prescription or fell upon it in a social setting. What people don’t realize is that when people get addicted to prescription opioid-based drugs, at some point the doctor stops writing prescriptions, the pharmacist won’t fill it, it becomes too expensive on the street, you can’t steal out of your grandmother’s medicine cabinet forever, so what do they do? They make that long dark walk down to the use of heroin. Chapo saw the prescription-pill addiction taking over, and he developed ways to increase import of heroin, increase poppy production in Mexico, and really flood the market with cheap high grade heroin. And the difference is this time around much of it is smoked and snorted, much like cocaine, so the fear of using a needle, getting AIDS or hepatitis, is really not there. That accounted for a completely different user group than I think Americans, and certainly law enforcement, were used to. Now it was an every day thing in affluent suburbs around major cities as well as in inner cities. Take that one step further and look at Chicago, because I do believe it was the hub for the Sinaloa Cartel (Chapo’s organization), and probably still is. He was able to develop a toxic relationship with nearly 100,000 street gang members there who, for the most part, make their living putting dope on the street, and flood that city with cheap high grade heroin. It really exploded across the whole Midwest. When I was the (DEA) boss in Chicago it led to much more violence, increased shootings and homicides, as these gangs fought to control areas. Heroin was really their lifeline in terms of profits. Chapo was able to bring them on board as unwitting contractors, the “Amway salesman” for Sinaloa. That really caught law enforcement and DEA by surprise. TCR: Why is the connection, between drugs and violence often lacking in today’s narrative? JR: There were always two schools of thought. One was the addiction and treatment side and the other was law enforcement. The mantra of the “war on drugs” really drives me crazy because it depicts a beginning and an end. There will be no end to addiction and violence, probably, for the rest of our existence, but it’s how we choose to confront it. For so long there was a separation [in recognizing] just how evil the cartels were and what a hold they had on the U.S. market. This is the new face of international organized crime. This is truly the new face of organized crime, of international organized crime, and we have to attack it as such. So, we have to maintain a very strong robust law enforcement platform here domestically, but we also have to continue to get involved overseas. If we had not built trust and the ability to share info with our Mexican counterparts, particularly the Mexican Marines, we would have been unable to capture Chapo and he certainly wouldn’t be sitting in jail in New York today. I think people have separated them for so long because they’ve believed that it was simply an inner-city issue, something that we’ve been dealing with for generations. But, in reality, narcotics in this country, in particular heroin, are really fueling the bulk of our crime right now. It’s a tough concept to comprehend, but unless we understand it I don’t think we’re going to be able to come up with an overall strategy to effectively deal with it in the long run. TCR: You write that, in the beginning, there was a lot of division and competitiveness between law enforcement agencies tasked with dealing with this problem. Why was it so hard to get agencies to work together? JR: The one thing that Chapo Guzmán banked on, and what I think was built into his business plan, was that the good guys didn’t talk to the good guys. Cops weren’t talking to cops, we weren’t connecting the dots, and if we didn’t do that we couldn’t effectively attack his organization. Unfortunately, for years we have been tied to metrics. How many people did you arrest, how much dope did you seize? How much money and guns did you get? Now, those are really important indicators of our success, but the real scorecard should be what impact did we have on the organization and the communities the organization operates in? And that’s a tough concept to get across at the grassroots of law enforcement because many times it means that a smaller investigation has to be turned over to another agency or another department that has a better opportunity to hit that organization. And it was built in for years to the way we reported a success to congress for budgetary reasons. What I fear has happened is that we are returning to that because of a lack of understanding. That could take us back ten years. These cartels are like a four-legged table. If you remove one of the legs, that table is going to stay standing. You have to go after all of it, the transportation, the command and control, the distribution, the money side, the security side, the communication apparatus that they use, because that’s how you effectively dismantle and disrupt them. That’s when they’re most vulnerable. It is a difficult thing to get across. The DEA has done a nice job, the FBI has done nice job, and many of the larger police departments across the country who are now involved in our task forces understand the importance of sharing info, but there are still problems. A prime example: a [police] in rural Kentucky stop an 18-year-old illegal Mexican with ten kilos of fentanyl in his trunk. They hold a press conference, the county sheriff gets reelected, but that’s the end of it. All the info that may have been gleaned from the Mexican, the phone numbers, who rented the car, what kind of compartment was the substance concealed in, what hotels did he stay in, what route did he ride [goes unrecorded]. All those things could be crucial to actually attacking the organization that he was supplying. Reaching that understanding can be tough, and we’re getting better and better at it. And I don’t think we’d have been effective going after Chapo and Sinaloa domestically if we hadn’t really upped our game. But, we still need work on that end, and unfortunately [the quality of that kind of police intelligence] varies across the country. TCR: How does politics fit into tackling the opioid crisis and reducing the power of the cartels? JR: I think that the relationship between Congress and big pharma is far too cozy and somebody needs to look into that. 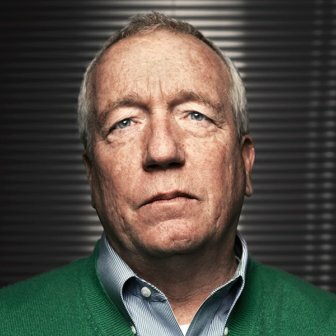 When I was a deputy administrator of the DEA, far too often we would have to settle for civil fines against these big companies when we really should have been going after them criminally because there were certain CEOs or managers who knew they were violating laws and regulations and did it repeatedly. If you put a high-level (pharma) CEO in prison, it will send a shock wave through the industry. My feeling was that if you take one of the top three or four pharmaceutical companies and you hit them for a $150 million civil fines, that’s taking a truckload of narco dollars from Chapo. It’s built into the business plan, they look at it as the cost of doing business. But if you were to take a high-level CEO or manager in one of those multimillion dollar companies and you put him in federal prison, I can guarantee you he’s not going to do too well in the prison yard playing kickball with real felons. It would send a shockwave through the industry that the government is serious. I think that’s where we need to move. I am concerned that sometimes in law enforcement we have political appointees or politicians who really don’t understand what our agents do around the globe day in and day out. Sometimes because of that misunderstanding we don’t get the right message out to the public. I know the Department of Justice is thinking about those things and I hope the DEA leadership takes a more active role. When I was there I thought it was really crucial that we kept Congress informed on what we were doing, but, more importantly, what we were up against. I remember we brought a map and showed [a congressional committee] what cartel was working in each U.S. city, and what street gang it was working with to put the dope on the street. Every one of those congressmen came out of their seat at the end of the hearing to check what was going on in their district. That’s really important. If we don’t tell them what we’re up against, we’re really going to just be reporting statistics every year that, on their own, really don’t show the impact on the community. TCR: Do the affected communities and law enforcement agencies need to work together? JR: That’s really important. One of the things we did right before I left was the DEA’s “360” program. We found ourselves working with local police and going into trafficker-infested neighborhoods or communities and removing the bad guys. Everything would be fine for a little while and then the new guys would show up. What we wanted, instead of taking that hill three or four times every couple years, was to get social services, community activists, and organizers involved. It was a two-step process: we would do the law enforcement and then they would maintain control amongst themselves through social services and educational programs. They would police their own neighborhood. It was more effective and it built a relationship between law enforcement, the community, and the people responsible for the community that hadn’t existed before. Things like that, along with community policing, are really necessary, because if we are going to make a stand it has to be a public and private enterprise to make it long lasting. That goes into rethinking the way we educate and rethinking the treatment side of things to make sure it’s available to those who need it and want it. When I talk about treatment, I’m not talking about repeat offenders or violent guys; let that take place in our correctional institutions. Instead, let’s really make an effort to try to get it to the people who want it. You wouldn’t have heard me say that 15 years ago. I would have said we’re going to arrest our way out of it. But I can tell you right now, with what we’re up against between heroin, the cartels, and now fentanyl, we won’t be able to do that. It has to be a systematic approach over a long period of time. TCR: Does the media have a role? JR: Speaking for the DEA, by the very nature of the work we do, sometimes extremely long investigations lasting years, our relationships with the media aren’t very good. When I was in charge of what was going on in the field, I would always encourage our field managers to build relationships [with journalists]. If you’re in law enforcement and you have no relation with the media at all, inevitably something bad is going to happen, and the time to build relationships is not in a crisis, it’s before it happens. From my own experience, not everyone liked what we were doing, not everybody liked me, but they understood that we were trying to reach out to them so that if they had questions we could answer them. They had a better understanding of what we were up against and what our whole mindset was. I do a lot of speaking now, and what I’m often asked is why so many people have no idea what DEA does. That’s partly because of the job. We can’t talk about what we do, we do operate in the shadows a lot of the time. But we need to do a better job at the community level by going in and explaining things, like this is an area that’s controlled by certain organized crime groups putting dope on the street, here’s what we’re doing to try and mitigate that, and here’s what you can do to help us. That’s a difficult thing to do, but the key is to be consistent. TCR: Today, on the more liberal side of the discussion, there is often the argument that, instead of fighting the war on drugs, we need to legalize and regulate them. Is that a realistic solution? JR: I am a cop. I am not a politician. I took an oath to uphold the laws of the United States. There has been far too much pushing the problem down to law enforcement because the politicians either don’t want to deal with it or they want to have a scapegoat. In any country that’s tried legalization at any level, the one thing that is very clear to me is it never eliminates the black market. You even see that with cigarette sales. The criminal part of it is always going to be there. Some of the original politicians who pushed marijuana legalization are rethinking it. If you look at some of the states that have legalized marijuana, such as Colorado, whether they have reaped the benefits of the tax money that everyone saw initially or not, what are the things that don’t come to the surface? The social services, the lack of work productivity, you see a lot more driving under the influence and accidents. Those all cost the community and citizens money, but nobody really talks about it. I know in some of those states, if you talk to some of the original politicians who pushed it, they’re all rethinking it. One of the things that always gets the DEA in hot water is that people think we are the ones who decide whether marijuana is legal or not. We have nothing to do with that. If tomorrow the FDA or whatever governing body said we think there are medical benefits to marijuana and they remove it off the Schedule One list, that’s fine. If there’s research that says the oils derived from marijuana could help childhood illnesses, we’d be the first ones there to wave the flag. When I was there, any legitimate request for research to use marijuana for those things we fast-tracked and never turned down. I think there’s still that debate, but what I hope doesn’t happen is people don’t forget all the hoops we’ve been through before. I don’t think we need to start again, we just need to have an open dialogue about it and people need to make decisions. TCR: One of the major talking points in the news today is the border, with many saying that’s where the drugs are coming from. How much does illegal immigration contribute to the import of drugs. Will a crackdown on immigration solve the problem? JR: They’re related issues, but they’re also two separate issues. I’m all for border security. If they can get the wall built, I’m all for that. But the reality is, unless we put some additional safeguards at our ports of entry, in terms of being able to X-ray, and additional manpower, I don’t think we’re going to see large reductions. We know a majority of this stuff comes through our existing ports of entry. So, I think it has to be a combination of those two. I do think the wall will have quite a bit of an effect on illegal alien migration. I don’t think there’s any question of that. But, there’s an old saying on the border that if you build a ten-foot wall, I’ll get an eleven foot ladder. I think that we’ve got to do both. And I’m hoping this president will do both, and I’m glad he’s taking it on. I used to tell our guys in Chicago, and the Chicago police, we’re 1,800 to 2,000 miles away from the border but, in terms of narcotic enforcement, we better work as if we’re on the border. Isidoro Rodriguez is a contributing writer to The Crime Report. Readers’ comments are welcome. El Chapo’s Next Home: the ‘Alcatraz of the Rockies’? 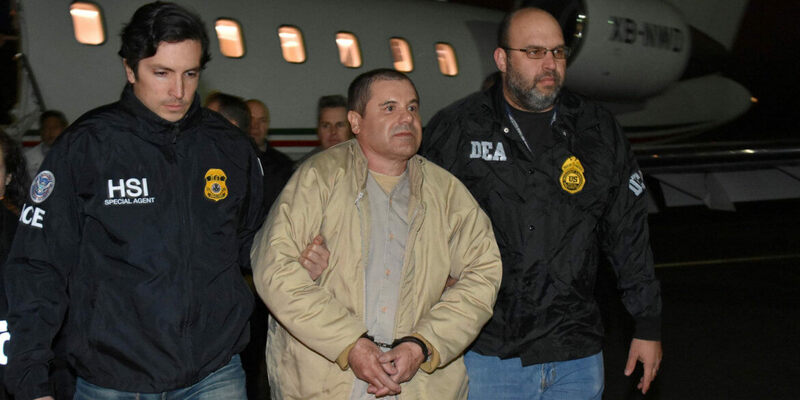 Joaquín Guzmán Loera, the Sinaloa drug cartel leader known as El Chapo, was convicted Tuesday in Brooklyn and is expected to spend the rest of his life in a U.S. prison–most likely the Colorado supermax facility known as the “Alcatraz of the Rockies.” But will it make any difference to the illicit drug trade? Did the Sinaloa “Amway” distributors include gangs in Philadelphia and Pittsburgh?